Now let's bring in the Maico which is also a bike legends are made of. Here we will do a rundown on the Maico 500 and how it would likely do in a drag race against a CR500. This is not about enduro or motocross as there are too many variables so we are only going to discuss a drag race between the two bikes. First however, we will start off with the history of the Maico 500 engine itself and how it compares against itself over the years. The start of the Maico 500 was actually as a Maico 490 in 1981. 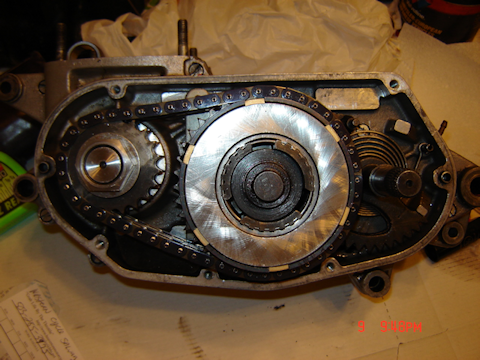 This engine was a piston port engine that ran primary chains and had a bore x stroke of 86.5mm x 83mm. The Maico delivers a fair bit of power and it delivers it to the ground. We can hear Australian racing legend Geoff Ballard talk about the 1981 Maico 490 in the following video. It's clear that the 1983 Maico 490 wins a drag race against the 1981 Maico 490 but what came next? Well, the Maico was called a "500" model starting in 1984 even though it remained a 490. The next big change came in 1985 and 86 with different head dome shape and water cooling adding around 10 more horsepower to the German power plant. A power valve was added in 1987 and in 1992 the stroke was increased to 85mm finally making it a true 500 nick naming this model the "Blue Max". Development continued through to 1999 where the current engines are still based upon. Did these modifications make a difference? Well the late Randall Owen of Maico Brothers went to find out and he pitted these machines against each other. The line-up consisted of a 1983 Maico 490 Sand Spider, a 1992 Maico 500 "Blue Max" and a 1999 Maico 500. The 1999 Maico 500 vs. the 1983 Maico 490 Sand Spider in the drag race the 1983 Maico 490 would hook up, lead and win every time. This was due to the "trenching affect" of the 1999 Maico 500, the 1999 Maico had so much power it just could not hook up off the line. However, with a rolling start the 1999 Maico 500 smoked the Sand Spider until it topped out at 5th gear. The Sand Spider's top end speed is around 114 MPH while the 1999's 5th gear tops out around 90 MPH. Randall Owens also stated "In the history of Maico Brothers, no other Maico or Japanese bike has beaten the Sand Spider top end, making the Sand Spider our favorite ride." The next test was for the 1992 Maico 500 "Blue Max" against the 1999 Maico 500 and the 1999 Maico just leaves the 1992 Maico in the dust. Aside from just straight out drag racing, the 1999 was faster in and out of turns as well. You can find the archive of the Maico Brothers website along with these original tests here. 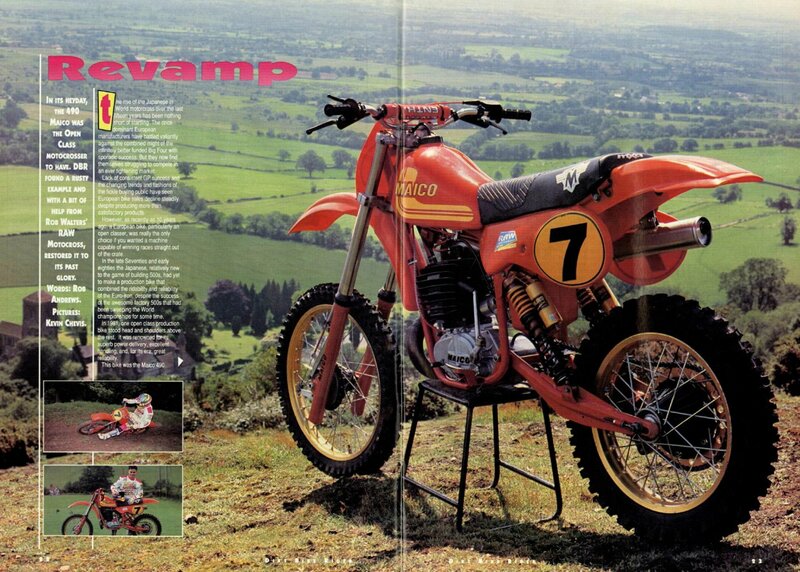 Now we are back to the original question on would a Maico 500 beat a CR500? Well someone actually already did this test, sort of. A lot of tests are done against the Maico but they always test the 1981 Maico 490. In 2003 for example, ADB wrote an article called "A test of time" where they did a drag race of a 1981 Maico 490 against a 2003 KTM 525. The Maico beat it by a bike length. 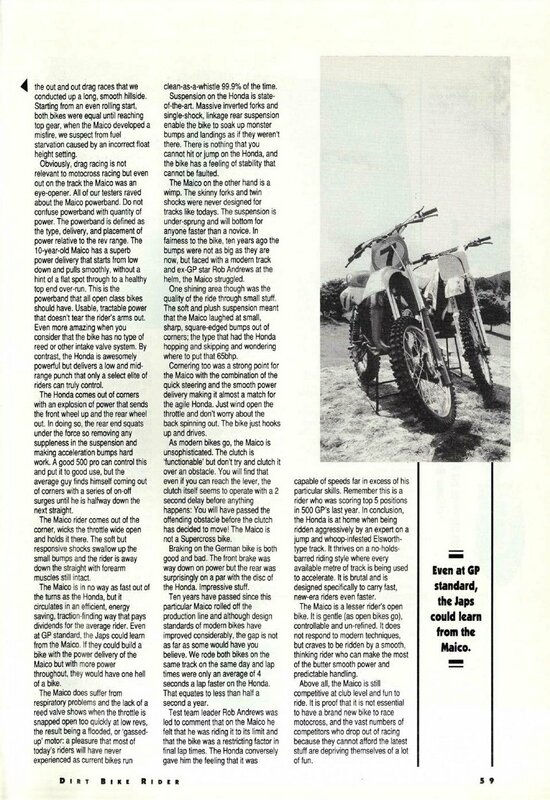 In 1991 Dirt Bike Rider magazine pitted a brand new 1991 Honda CR500 against a 10 year old 1981 Maico 490. This was in spite of the fact that new 1991 Maico 500s were available and despite the fact that the 1983 Maico 490 itself out performs the 1981 Maico 490. They did this anyway and you can read the full article here in Page 1, Page 2, and Page 3. I will break down the main highlights of which the first is the drag race. 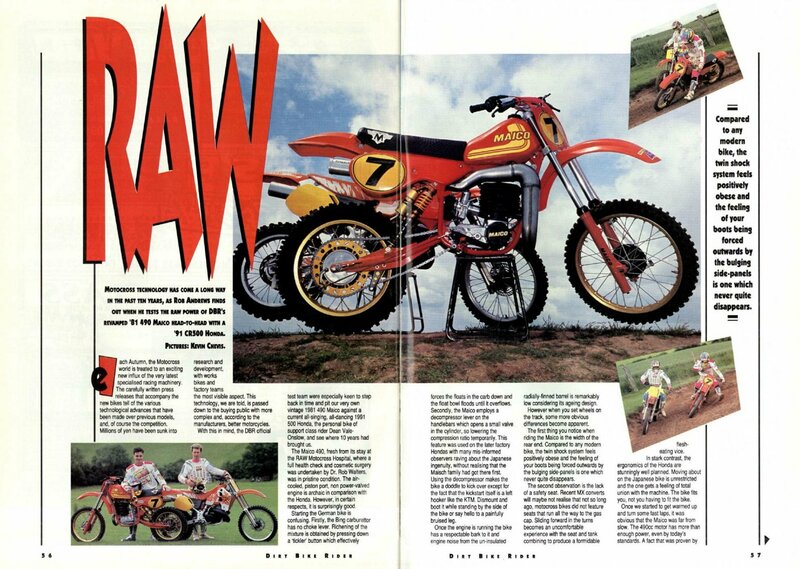 They did a rolling start but didn't mention WHY in the magazine but I assume this is for the same reason as was mentioned by Maico brothers in their test. The CR500 has more trenching affect from a standing start but whatever. It's not mentioned so we just know what happened with a rolling start drag race. They were even. The Maico developed a misfire due to fuel starvation so we're looking at a poorly maintained 1981 Maico 490 being even with a 1991 Honda CR500. Not really a standing ovation for the Honda in that case. 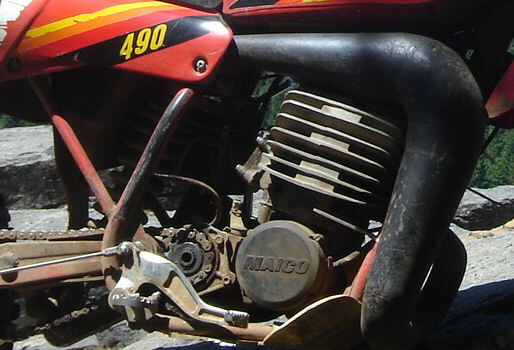 As we know, the 1981 Maico 490 would be itself destroyed by the later Maicos. The last thing I would like to mention is what they said about the 1981 Maico 490 in the end. "Even at GP standard, the Japs could learn from the Maico. If they could build a bike with the power delivery of the Maico but with more power throughout, they would have one hell of a bike". Yes, this is called the 1983 Maico 490, dumbasses! It's like these guys have never known that Maico made bikes beyond 1981!